•	USCIS has finished initial data entry of all FY 2019 H-1B cap cases selected in the lottery. •	Receipting of H-1B cap cases is expected to continue for at least several more days. •	USCIS will soon begin to return unselected cases and fee checks to petitioners, but has not identified a time frame for returns. USCIS has completed initial data entry of all FY 2019 H-1B cap cases selected in the lotteries, according to an agency announcement issued today. Employers started receiving filing receipts for selected cases in mid-April; receipting could continue for several more days now that data entry is finished. USCIS will soon begin to return unselected cases and fee checks to employers, but has not identified a time frame for returns. USCIS will now adjudicate the 85,000 cases selected in the FY 2019 cap lottery. Adjudications are expected to continue for the next several months. USCIS may transfer some H-1B cap petitions between its California and Vermont Service Centers to balance workload. If a case is transferred, USCIS will issue a notice to the petitioner and immigration counsel. If an adjudicator requires additional facts or documentation in a cap case, he or she will issue a request for evidence (RFE). If your organization receives an RFE, your Fragomen team may ask you and the petition beneficiary to provide additional information to prepare a response. Working promptly with your Fragomen team will help minimize processing delays. The sooner your response is submitted, the greater the likelihood that your case can be decided in time for an October 1 H-1B employment start date. Premium processing remains suspended for all FY 2019 H-1B cap cases. The suspension – which took effect on April 2, 2018 – is expected to be in place through September 10, 2018. Employers can still request premium processing service for non-cap cases, including H-1B extensions and changes of employer. Impact of H-1B cap processing on other case types During the busy cap season, USCIS devotes significant resources to the processing of H-1B cap petitions. Though USCIS makes an effort not to unduly delay the processing of non-cap cases, employers and foreign nationals should plan for the possibility that their extensions may take longer than usual. As a reminder, H-1B, H-1B1, L-1, E-1/E-2, E-3, O, P, and TN nonimmigrants are given an automatic 240-day extension of work authorization beyond the expiration of their current period of stay if a timely request for extension of stay is filed on their behalf. USCIS aims to complete extension processing within this timeframe, but if it does not, the foreign national's employment authorization could be affected. As noted above, premium processing service remains available for eligible non-cap filings, including extensions. 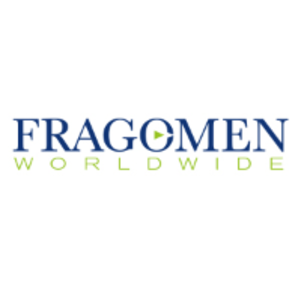 Fragomen will continue to provide regular updates as FY 2019 H-1B cap processing continues. If you have any questions, please contact the immigration professional with whom you work at Fragomen. This alert is for informational purposes only.